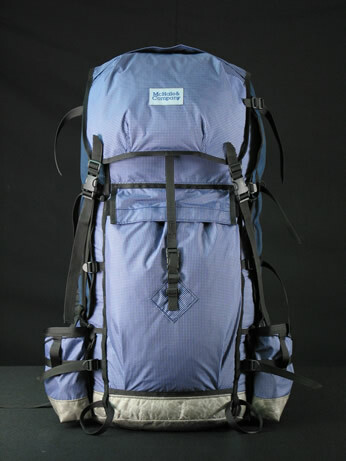 Light Packing, medium packing, heavy packing, or Alpine climbing, Expedition use - this is a versatile pack. 4,800+ (cu. in.) Extension skirt is optional for more volume. 4,800 cuin volume does not include extension skirt. Extended Volume with extension skirt: 5,500 cuin. Larger volume packs are available for Larger Mountains! 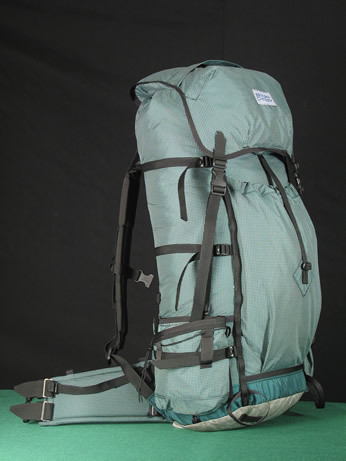 The best way to bump the volume of one of these is with a set of our Super cargo pockets or an increase in circumference. 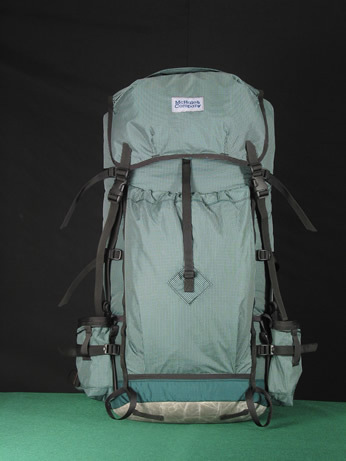 Minimum Pack Weight -2.75 lbs. 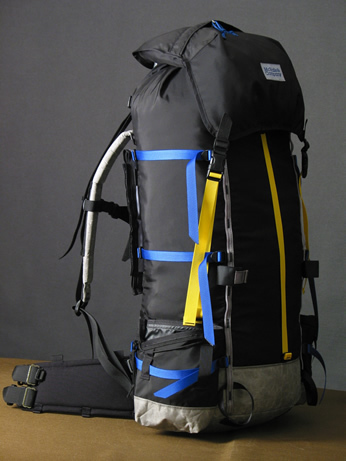 stripped in roll top mode with lighest stays and subpop compression cord system. 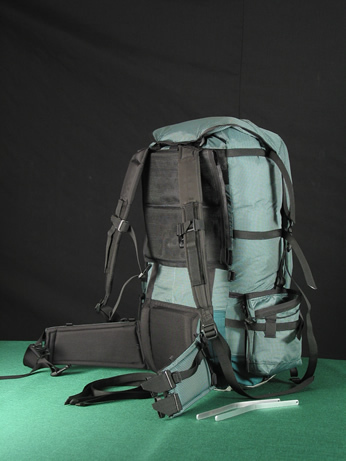 Price: $629.00 with Roll Top closure and hip pack top, or double layer flap top. Double layer flap top are $39.00 separately. Price inludes summit flap also, water bottle pockets, velcro back vent. Scroll down for new photos. 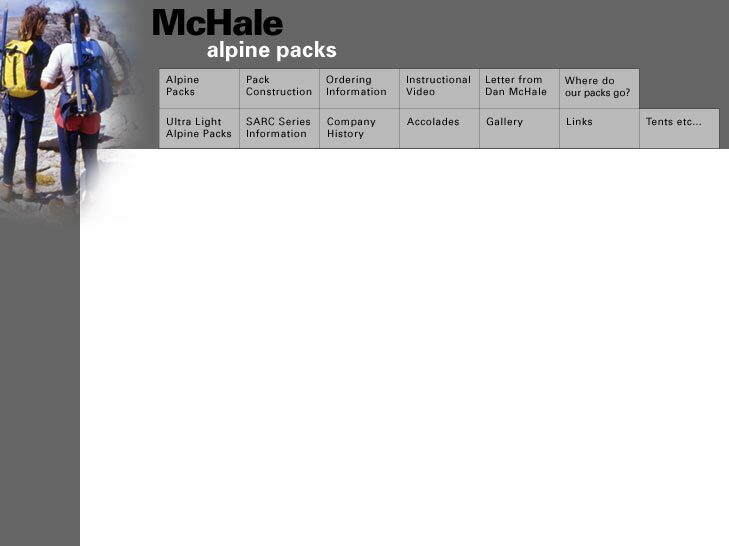 Same pack below with snow flap over Kangaroo and ski guard panels mounted on sides. Above: Rear view. 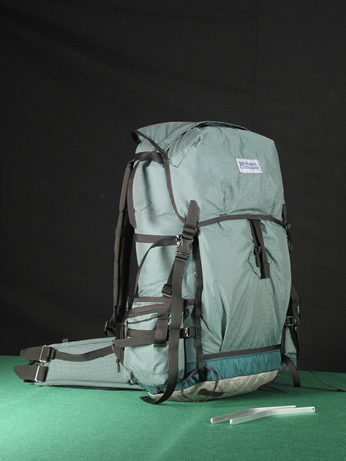 This example has a Full Spectra bottom and covered Kangaroo pocket - Kangaroo closes with bungy cord as well. Flap can be set out of the way inside pocker as well. 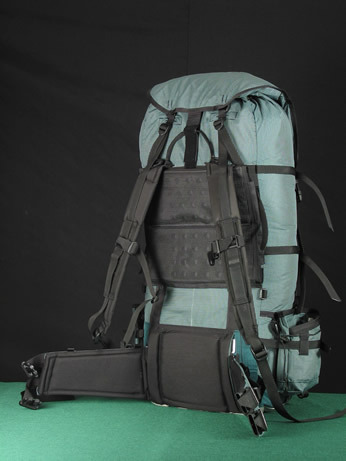 Below: Harness side. 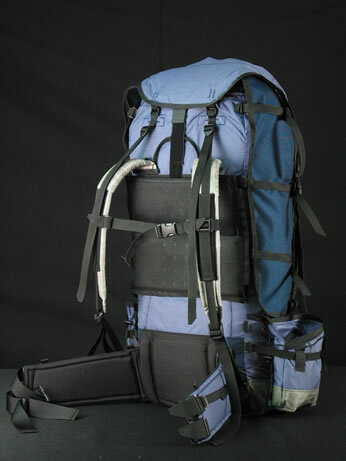 Ski-guard panels shown on side. Full Spectra shoulder pads also. 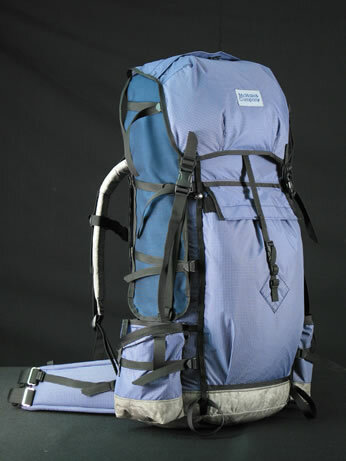 Above: A taller lumbar pad, external removable back padding, and larger volume are some of the features that make this different than the standard S-Sarc. 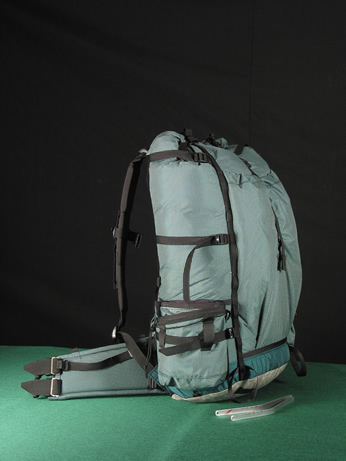 Below: The frame extension pulled and the pack shortened to shoulder level and the lower main frame. Notice that the upper stabilizer straps have been removed and taken out of the Bypass tubes on the front of the shoulder pads. They can be left on the pack as well. Below: Bayos out - rear view. 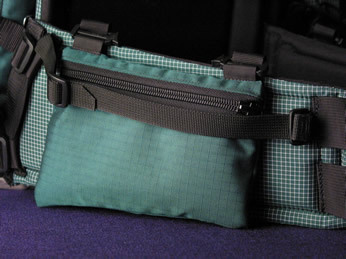 Below: a belt pouch that clips to the loops visible in photos above.